Claus Trska was born in Vienna, Austria in 1973 and in daily life works as ecologist. At the age of 14, karate gave him the possibility to enter the world of martial arts. After being an athlete for three years and training for further seven years in the “Kung Fu” style “Chow Gar”, he discovered Chen style Taijiquan in the school of grandmaster Chen Shihong and concentrated his efforts on this art since 2003. In 2004 he was co-founder of the association “Shujian” with Paris Lainas and Gerhard Treiber. He is triple Austrian National Champion in the category ‘Taiji forms’ (2008, 2009 and 2017). In 2008, he was awarded the 4th Duan after taking an exam in front of the commission – led by Chen Xiaowang – of the Chinese Wushu Association. In 2010 he obtained his official permission to teach and founded together with Barbara Wittmann, Bernadett Wagner and Pal Varfoki the association “Shenwu – Taijiquan im Chen Stil”. That very year, he passed the first sports management course of the BSO. In 2013, he won 2 gold medals in China at the Ningbo’s Inaugural International Wushu Challenge in the categories „Taijiquan fist- and sword- forms”. He is teaching his students in Vienna, Austria as well as in Budapest, Hungary. and he is still student of Chen Shihong’s Wushu School. He would be glad to share his experiences with everyone who has interest to come to know more about the world of martial arts. Grandmaster Chen Xiaowang was born in 1945 in Chenjiagou (Chen Village), Henan Province, China. He is a senior national martial artist and professor in the Chinese Martial Arts International Promotions Centre. Upon a solid foundation of experience of his ancestors, Chen has not only been successful in Taijiquan himself, but has tirelessly promoted his “family martial art” throughout the world. He is direct descendent of the creator of Taijiquan, Chen Wangting and the grandson of Chen Fa’ke, renowned as the greatest Taijiquan master at the beginning of the 20th Century. At a very young age, Chen received rigorous training in Chen family Taijiquan theory, forms, weapons, push hands, and free sparring from his father, Chen Zhaoxu, and his uncles, Chen Zhaopi and Chen Zhaokui. In 1980, he became a board member of the Henan Institute of Sport and began teaching Taijiquan professionally. He entered the National Taijiquan Competition winning gold medals for three consecutive years (1980, 1981, and 1982). In 1985, he represented China in the First International Martial Arts Invitational Competition in Xi’an receiving the world champion title for Taijiquan. Chen continued to compete in sizable competitions and was awarded the title of champion in Taijiquan more than twenty times. He has represented China sharing martial arts knowledge with people in more than 30 countries, including Japan, America, and Singapore. His deep Taijiquan skill has allowed him defeat all martial artists who have challenged him. Over many years, Chen has taught tens of thousands of outstanding Taijiquan students both in and outside of China. In 1988, Chen was awarded the Contribution to Martial Arts prize by the National Institute of Martial Arts. Chen Xiaowang has held many positions of leadership in areas of martial arts, calligraphy, culture, and Chinese medicine and currently holds various positions in many international and Chinese Taijiquan institutions. He was the principal in the films on Chen family Taijiquan produced by Chinese Central Television (CCTV) and has choreographed and directed martial arts films. Additionally, he authored a number of renowned books and essays on Taijiquan. His books and videos have been translated into many languages and have been published worldwide. Chen Shihong was born in 1959, in the city of Jinhua (Zhejiang province, China). During his childhood, his father began to teach him Wushu, later he attended the Shaolin sports school where he graduated with excellent skills in Shaolin-boxing and other martial arts. In the 80’s, he met Grandmaster Chen Xiaowang, the official head of the Chen family in its 19th generation. Grandmaster Chen Xiaowang took him in as a personal student, and led him to Masterhood of Chen style Taijiquan, making him a 20th generation practitioner and representative. Since then Master Chen Shi Hong is connected to Grandmaster Chen Xiaowang in deep friendship, not only because of his role model and ideals. In 1987, Chen Shihong followed the invitation of the renowned Japanese Karate-Master Nagayama Masatosi. He helped to promote and settle Chinese martial arts in Japan and headed the training of the Japanese Taijiquan Association for 3 years. In 1990, he came to Austria and in 1991 he founded the first Wushu Association in Vienna/ Austria (“ACWA” or “Austrian-Chinese Wushu Association”), whose teaching is still conducted by him. Between 1992 and 2006 representing the austrian national team the members of his association took part several times in international wushu competitions in China und Europe. In the same year the Wushu was acknowledged by the Austrian Sports Ministry and the Chinese Wushu Association of Austria was created. 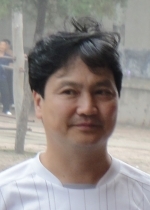 There he was Head Coach and responsible for national forms, Sanda and Taijiquan. In his early days he was acting beside Li Lianjie (Jet Li) in martial arts films such as “The Power of Shaolin” or “The Holy Beggar”. Beside considerable successes of the ACWA-members in international Wushu competitions master Chen Shi Hong was personally awarded for shadow boxing (Taijiquan) and Wushu”. In 1992 and 1995 at the International Taiji and Wushu Championships in Wudang Master Chen received medals for Chen Taijiquan and the Salto boxing style. In 2008 in Hang Zhou (PRC) he graduated the exam for the 7th Duan of Chinese Wushu Association and received the title of Grandmaster by the Sports Ministry of Zhejiang Province (PRC). As honorary chairman of the research community for Chen-style Taijiquan in China, President of the “International Chen Style Taiji Friendship Association” in Tokyo, guarantor of the International Association of Traditional Chinese martial arts as well as the Vice President of the European Shaolin Wushu Association (founded in 2010), he has made an essential contribution to the spread of Chinese Wushu in China, Japan and Europe. Due to his exceptional martial art skills, his pioneering spirit and his unlimited desire to pass on the teachings of Chen Xiaowang, he occupies a special place among the masters of Taijiquan acting today. 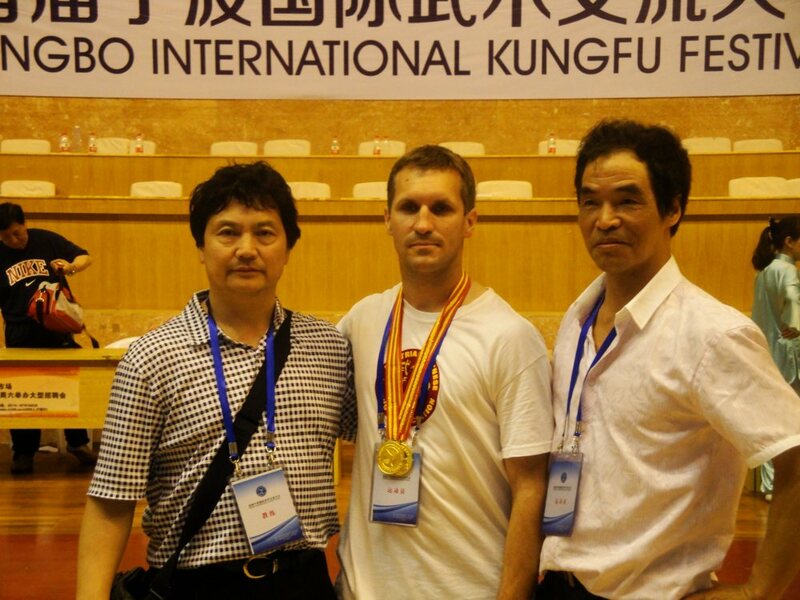 Grandmaster Chen Shi Hong gave name for the association “Shenwu” and up to this day he is the teacher of Claus Trska. Master Chen was born in China in 1976 at Chenjiagou village, the birthplace of Taijiquan. He is the 1st son of grandmaster Chen Xiaoxing and a 20th generation member of the Chen family with ancestral roots directly traceable back to the 9th generation master Chen Wangting, the famous founder of Taijiquan. His uncle, Chen Xiaowang, is the current lineage holder of Chen family Taijiquan. He became known for his fighting skills and his application-oriented access to martial arts. 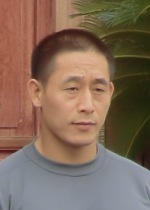 He has competed in and won numerous titles both in China and abroad. Today Chen Ziqiang is the head instructor and manager of the school of his father, which is the largest school of Taijiquan in Chenjiagou. For some years he is also teaching outside of China and visits regularly his Taiji-fellow Chen Shi Hong in Vienna/ Austria. Honorary Master, Hubei Province, Yichang District Taijiquan Association. 1997, he won the 1st place in all-round Taijiquan at Henan Province Wushu Tournament. 2001, he won two 1st prizes at Hainan’s 1st International Taijiquan Health Association annual festival. He donated $14,132 to Sichuan Province to help the victims of the earthquake disaster. Since November 2008, when he established his school named Chen Bing Taiji Academy in Chen Village, he offers the authentic Chen Taijiquan.